Are one of the many home cooks trying to figure out how to eat less meat and more plants? I have a new idea for you: try going Vegan After 6. If the conversation goes on for a minute or two, I often ask my new acquaintance what kind of plant-based meals they like to cook. Most of the time I get a blank stare. I do not doubt that most people I meet sincerely want to eat less meat and more plants. Some want to change their diet for health reasons. Others are worried about animal agriculture’s impact on climate change. But, in practice, when 6 pm comes around, they still default to meat, dairy, and eggs. The data shows that just wishing to eat less meat and more plants is not enough. Good intentions do not improve our health, or decrease the catastrophic footprint of animal agriculture on our water and land. From the animals’ perspective, eating less red meat is even worse: it takes more than 100 chickens to yield the same amount of meat as a single cow. Think of all the sentient beings slaughtered at the end of a brutally short life! We need better strategies to make it possible for everyone to eat less meat and more plants on a regular basis, day after day. 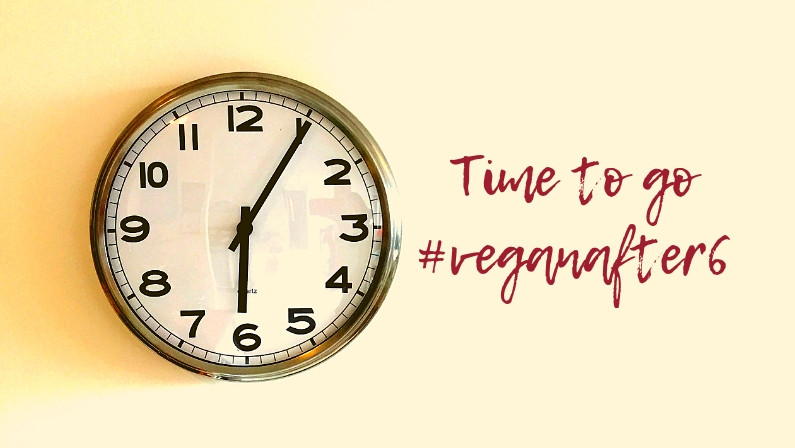 A few years ago, Mark Bittman, then food columnist for the New York Times, published a book titled VB6: Eat Vegan Before 6 to lose weight and restore your health… for good, along with a companion cookbook. It was published in 2013, which is also when I started thinking more before opening my mouth. I was starting to think about how I could eat less meat and more plants, so the book’s premise was appealing. I got a hold of it from the library, and decided the approach wasn’t for me. First of all, my morning meal consisted of a bowl of Shreddies cereal with cold cow’s milk – a sacred habit I was not ready to give up. Plus, as a half-marathon runner, hard-boiled eggs were the perfect post-run snack. With regards to lunch, I was often eating out and vegan options were few and far in between. Going “vegan before 6” just seemed too far out of my comfort zone. I needed a different schedule for my culinary experiments. 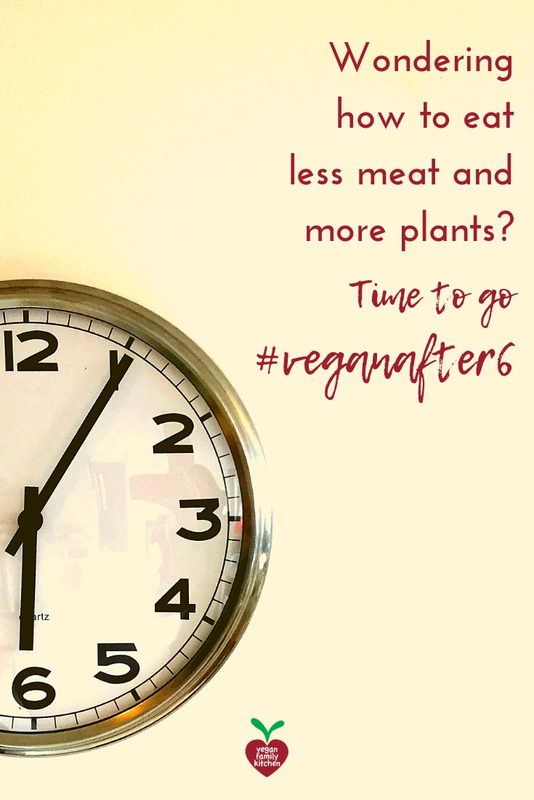 The benefit of a constraint such as “vegan after 6” (or “vegan before 6” for that matter) is that it’s very clear, as opposed to the loose goal of “eating less meat.” When I was planning meals and jotting down my shopping list, I had a simple rule in mind: if it was dinner, it had to be vegan. Is Vegan After 6 for you? There are some factors that will make it much easier and more accessible for you to go Vegan After 6. You generally eat at home: If you are always on the go at dinner time, you may lack the mental energy to deal with the novelty of a plant-based dinner. Perhaps consider taking a Vegan Start (breakfast) instead. Or, building on Meatless Mondays, aim for plant-based dinners on the less-stressful days of the week. You have some control over dinner: If you plan, shop and cook every night, you’re all set for rapid success. If someone else does most of the cooking in your household, please approach them with kindness and an appreciation for the huge effort involved in feeding you every day. Talk about your desire to go vegan after 6 and ask how you can help make it happen. Have compassion if they feel offended, have uninformed assumptions, or show reluctance to welcome another person in “their” kitchen. Bring an appealing yet simple vegan cookbook from the library as a conversation starter (I recommend Isa Does It). You know some basics: cooking grains (such as pasta, rice, quinoa and couscous), and opening cans of beans, will be useful skills. The rest you can learn from recipes for now. You can read and understand recipes. There are millions of vegan recipes online. I have published a collection of beginner-friendly ones. You can also make your life easier by downloading a sample meal plan of dinners (see at the bottom of this post). Don’t bother “veganizing” meat-based recipes you know for now, and skip the cheese alternatives (you probably won’t be impressed). Save cheesy dishes for lunch, if you must have them. Significant others who can’t believe in a dinner without meat: Work on crowding animal products off their plate by progressively increasing the “sides” portions until they become the centerpiece. If their fondness of meat makes you worry about your loved ones’ health, consider watching the Forks Over Knives documentary with them. Hungry t-rexes: If someone in your family works in construction, trains for Olympic wrestling, or goes through a growth spurt, there may be an adjustment period when they complain of feeling hungry just an hour after dinner. Always include a nourishing soup as an appetizer, add side salads, and bake some protein-dense snacks. Banana bread with lots of walnuts is a popular in my home! Allergies: Those who avoid nuts, soy and/or gluten can be perfectly nourished with yummy food on a plant-based diet. However, be prepared to feel a bit let-down when you see an exciting recipe that requires cashews. Unfamiliar ingredients: What’s nutritional yeast? What does vital wheat gluten even look like? Who knew about aquafaba even five years ago? Many plant-based food bloggers create recipes at the sharp edge of culinary innovation and use ingredients that may be unfamiliar to you. In many cases, conventional alternatives make a perfectly fine substitute. In some cases, the “weird” ingredient can be ignored entirely without ruining the recipe. You can stick with recipes that do not include those. Or do not hesitate to email me to ask any question you may have! What if you make a mistake? What if your Worcestershire sauce isn’t vegan? What if you break down and pull conventional pizza out of the freezer one night? It’s ok. It’s all an experiment. Tomorrow night you can aim for Vegan After 6 again. Is Vegan After 6 good enough? My deepest wish is for all humans to open their eyes and hearts to the suffering caused by animal agriculture. But, in order to get there, we need to reassure them that they can survive and even thrive eating a plant-based diet. For some people, that is a drastic change from what they have grown to consider the only normal food there can be. For them, it can feel like a scary transition. Vegan after 6 makes it a manageable experiment. Going Vegan After 6 enables more people to get a taste of nourishing new options. They can safely discover some of the benefits that come with a significant reduction in their consumption of animal products. Ideally, they’ll bring the leftovers to work as lunch, too! However, if they start a “trucker’s breakfast” habit (3 fried eggs with bacon and white toast) to make up for the lost rib dinner, a heart-to-heart conversation may be needed before open-heart surgery is required. 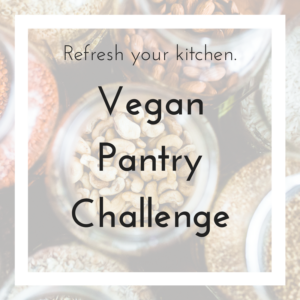 Take the Vegan After 6 challenge for just 2 weeks and see how it goes. If you enjoy it, repeat for another 2 weeks. 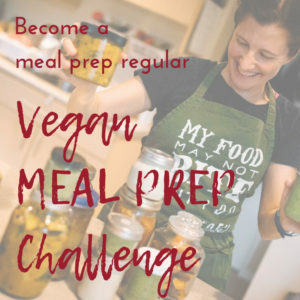 Then maybe try “vegan at home.” Progressively build your confidence when it comes to eating plant-based meals outside your home, practicing looking for vegan options at restaurants. Eventually you may even feel comfortable telling your mom that you’ll bring a plant-based dish for Thanksgiving dinner. Every meal is an opportunity to make a difference. I recommend committing to going Vegan After 6 for two weeks at first. It gives you plenty of time to experiment and learn, without being too scary. 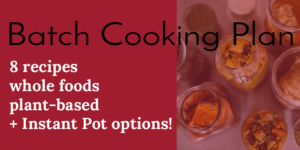 To help you get started, I am offering this all-vegan, whole foods and plant-based meal plan that includes 10 dinner recipes, along with a shopping list and all the instructions you need. Enter your email below, read the plan carefully, and get started this coming weekend. You’ll be glad you did it. And never hesitate to reach out to ask for help, I’ll be happy to point you in the right direction.